Take A Break, Grab a Kief Weed - Lowest Price Guaranteed! Kief weed gives you that complete experience of relaxation and happiness for those who are looking to take a break from everyday stress and tiredness. Our Hybrid Kief stands out from the rest because we offer it as if you were picking them from our gardens fresh and full of juice. You can never go wrong when you smoke a fresh bunch of weed! 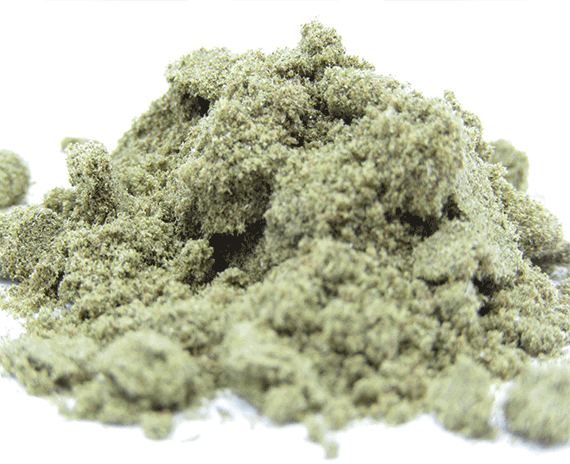 The benefits of kief include its strength, potency, and purity. Usage: How to use our kief? Use it for smoking or with your favorite Vape pen, our AA-hybrid brings in that sudden sensation and relaxation along with the magical kick that you need to get out of that everyday traffic and non-sense. It’s time for you to sit down and just go in your clouds and let the jam kick in! The more you inhale our AA-Hybrid, the more you want into your system and let it drive your dreams and relaxation into a fairyland where happy endings come true. Come on now, let’s make that pleasure a reality! Benefits: If you had a long day and want to get away from all of it, our Keif will give you a drive to relaxation and happiness that makes your nerves feel loose and rested. It will give you that good night sleep and takes you to Dreamland with full of energy and positivity. Smoking it half-n-half with ground flower. Excellent, quick buzz. Great value! Nice little topper for adding punch to your bowls. I used some to top off a joint. Good to go. I also made a small test batch of Kief Caramels which turned out pretty good. made some gummies out it and now i need lots more!! Love mixing it in my joints ..very happy with this product . Great for supplementing with J’s or bowls. Not as potent as the AAA or AAAA but well worth the price point!! Anyone dealing with chronic pain should try adding to your favourite medi flower for better pain management when pharmacrap opiates just don’t work. Works great on flower in a dry vape also. Thanks muchly ganjagroup. Nice buzz meh for taste. Ad to your bowl and blast off. Good buzz meh for taste. Ad to your bowl and blast off. Decarboxylated in coconut oil is nice and strong.